Prospective members are cordially invited to visit our flying site a few times to help determine whether they wish to take up the hobby and become a member. Visitors are also welcome at our site subject to our Club Rules which are published on this website. Prior to visiting the Club flying site, both prospective members and visitors are asked to make contact with the Club, either by contacting one of the Club Committee members, or via the Contact Request facility on this website. Visitors who are experienced flyers, with at least current SAA “Bronze” or BMFA “A” Certificate accreditation may fly unsupervised subject to Club Rules PROVIDED they can prove that they have valid and current Third Party Insurance cover by proof of current membership of either SAA or BMFA. Please note that visitors are not permitted to fly alone at our site if no Club members are present, and non-flying visitors are not permitted to enter the flying area. Visitors, including guests of current members, who fulfil the above criteria and who wish to fly at our club site may attend and fly on up to four occasions per year, after which they must apply for club membership. It should be understood that the provision and maintenance of a superb flying site such as ours is a considerable on-going expense to our small Club, and donations to the Club by visitors enjoying our facilities are gratefully received. The Club reserves the right to refuse access to our site to any person at any time without explanation, and Club Officers have the right to exercise such a ban without prior notice. A range of relevant information and documentation is published in the Club Details page of this website, including Club Rules, Club Constitution, Committee Members, Privacy Notice, details of Membership Subscriptions and Fees and Membership Application Form. 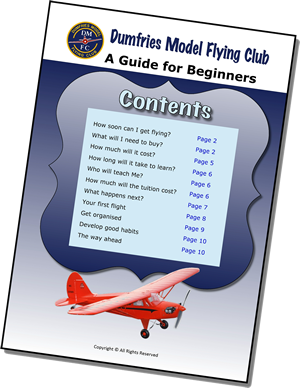 A Guide for Beginners and other useful articles can also be viewed and downloaded from the Articles page, and there are links to SAA and BMFA in the Useful Links page of this website.